Hard work had made Jeremiah rich: at the age of forty-four he was one of the wealthiest mining barons in America. When he married the captivating Camille - less than half his age - he was looking for more than love. He was looking for a woman to found a great family. And for that family, he built a mansion: Thurston House. The vast mansion was the finest in the city - a palace for a prince, a princess and their children. In bricks and mortar, turrets and columns, it symbolised the great power of the new dynasty it was to house. Many generations would live and love and die in Thurston House. Each generation would ask itself whether money alone can buy happiness, a family and love. 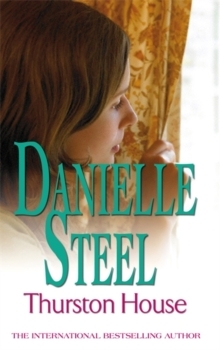 Thurston House is the compelling tale of three generations of the Thurston family: Danielle Steel is a master storyteller.